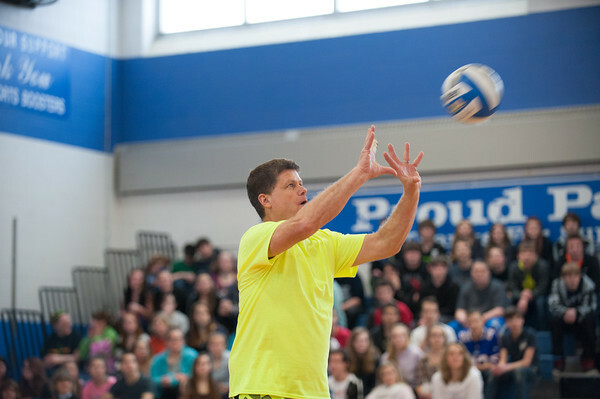 140214 3A Ent JOED VIERA/STAFF PHOTOGRAPHER-Newfane, NY-Bob Holmes "the one man volleyball team" faces of against Newfane High School students before delivering an anti bullying message to the entire school on Friday February 14th, 2014. Holmes defeated the four teams that were pitted against him. One team included all the guys in Newfane's junior and senior classes.